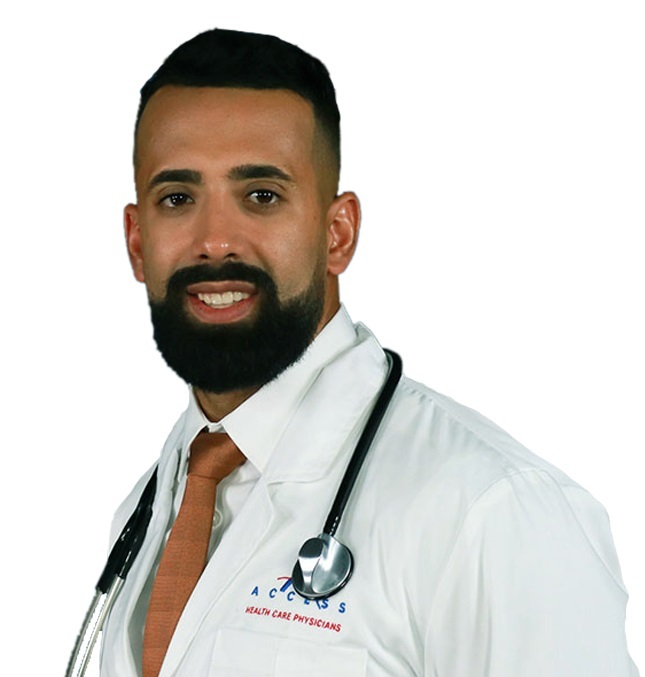 Mohamad Jibawi, MD, joined Access Health Care immediately after completing his residency in family medicine at the LSU Family Medicine Ochsner Medical Center in Kenner, Louisiana. His received his medical degree from St. Matthews University School of Medicine, Grand Cayman, Cayman Islands. Dr. Jibawi is a board certified in Family Medicine and is certified in ACLS. He was Intern of the year and received the Women’s Health Award while at LSU (Louisiana state university). Dr. Jibawi is a member of the American Association of Family Practice Family Physicians. He is fluent in both English and Arabic and is conversational in Spanish. Dr. Jibawi goes above and beyond for his patients to ensure the best care possible and considers his patients as family. He has a heartfelt interest in working with the Geriatric population, veterans and with behavioral medicine.